First screenshots of Zombies, Run! 2 – Zombies, Run! Zombies, Run! 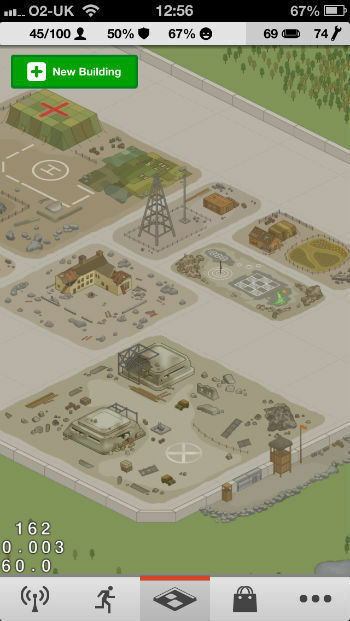 2 is really starting to take shape now, so we want to present you with our very first look at the game’s new interface. 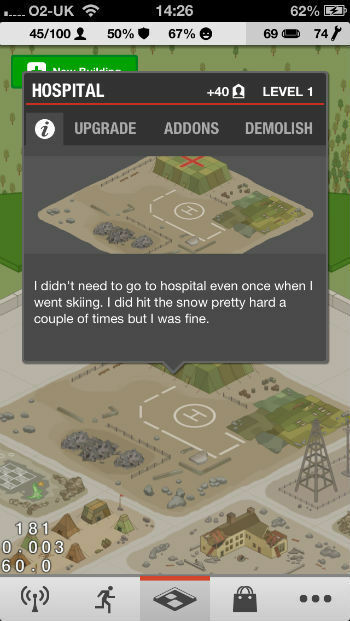 Please note, these screens show an app that is still very much in development; you will see placeholder text and graphics that will be different in the final version of the game. This is the Zombies, Run! 2 Home Screen. 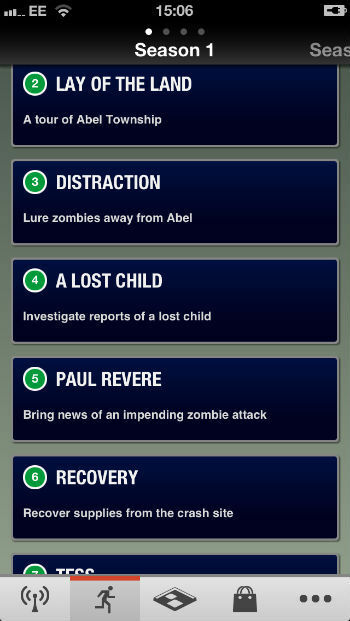 We’ll keep you notified of any in-game updates, along with any newly released missions, via this screen. That welcome banner may or may not make it into the final game, but we are definitely planning on implementing a user system so you can have multiple players on a single device. As you can see, the navigation bar at the bottom of the screen is similar to that found in the original Zombies, Run!, except that it looks much cooler. However, because we’re fitting so much new stuff into this game, the button furthest on the right will open a new screen which houses the Codex, Run Logs, Settings and a bunch of other miscellany. No screenshot of that, because it’s largely a list of words, which isn’t very exciting to look at. Instead, let’s take a look at the Missions Screen. Next, let’s take a look at the Base Builder. This is the real meat of the Zombies, Run! 2 visual interface and is the area in which we’ve made the biggest and most visible improvements. So, here it is! 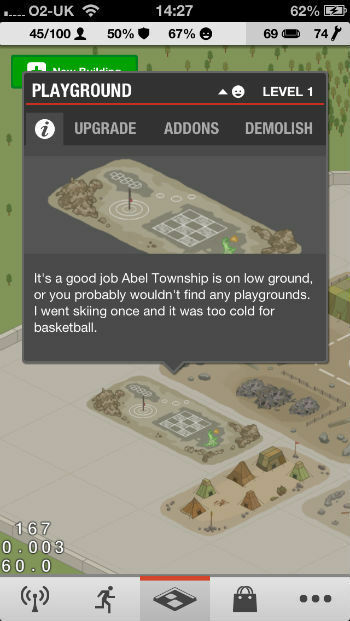 This is Abel Township. Or, at least, this is my Abel Township. Yours will probably look very different, thanks to the ability to place your own buildings wherever you like within the Township walls. Running out of space? Spend some supplies on expanding your walls outwards. At the top of the screen you can see a bar containing your base’s stats. 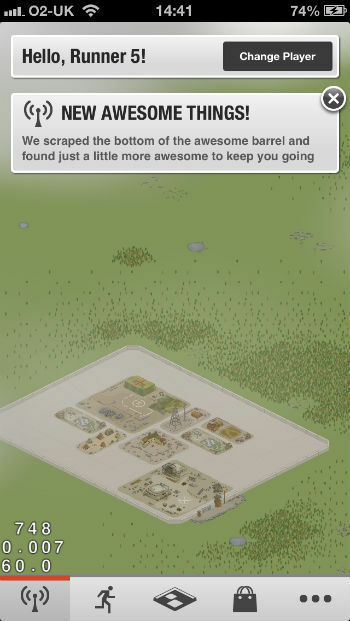 From left to right, you can see current population/max population, defence level, morale level and the number of collected supplies and materials you currently own. Want to add a new building? Just press the New Building button. Pretty sure we couldn’t have made this stuff any easier. You’ll be confronted with the following screen, but probably with a few additional buildings and amenities thrown in for good measure. This is just a basic list to show give you an idea of what it will look like. Don’t be surprised if any requirements and/or costs are different in the final game. Placing your new building in your base is simply a case of dragging and dropping it into the world. 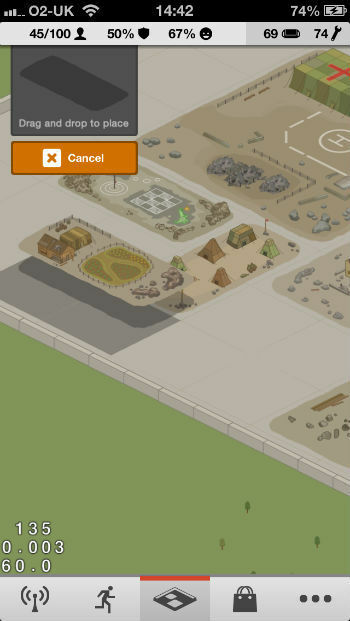 Clicking on a building will show you more detailed information. Again, I must reiterate that there is a lot of placeholder content in the game right now. That flavour text? That definitely won’t be in the final game. 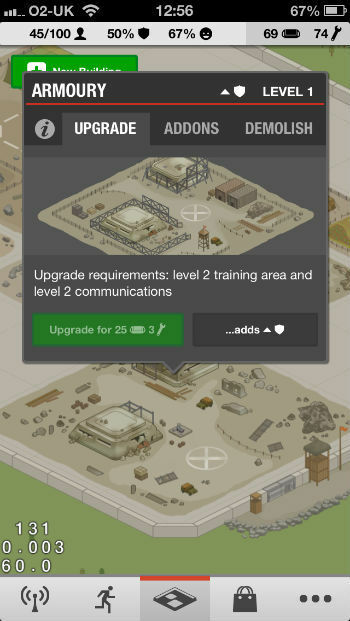 It’s here that you’ll be able to upgrade your buildings. 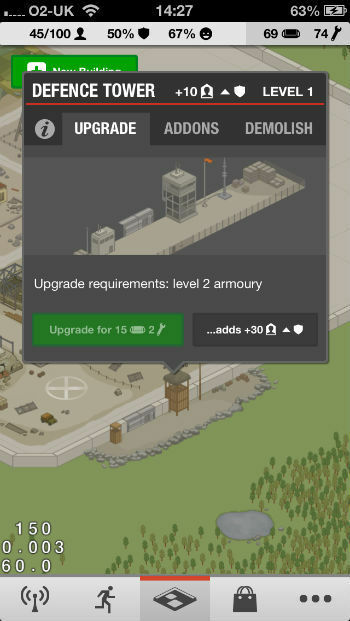 Each building has a set of requirements that need to be met before you can go ahead and upgrade. 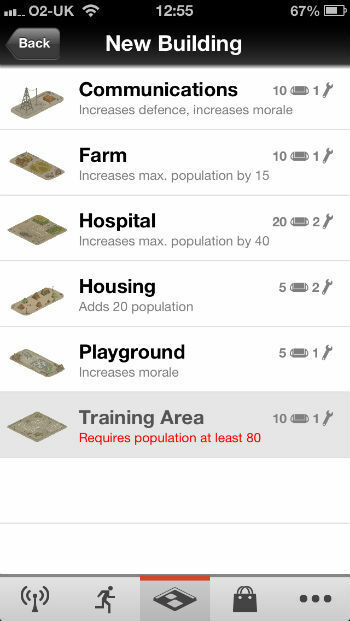 You can also demolish the building to regain some supplies, or invest in add-ons. We’ll be talking more about add-ons at a later date. Yes, these are iOS screens, but don’t worry Android users! We’re working hard on the Android version and it’s looking great. We’ll have more information on this very soon. We hope you like what you see in these first screenshots of Zombies, Run! 2! We’ve a little way to go before we’re finished, but hopefully this has got you a little more hyped for the game’s release in the Spring.